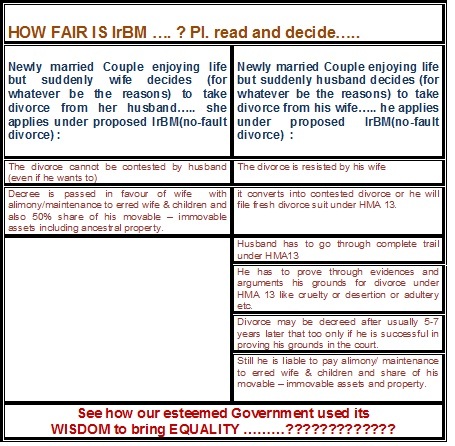 HOW FAIR IS IrBM(Marriage Act amendment) ??? Please RISE & ACT against these Feminist visionaries. SAVE FAMILIES IN INDIA !!! !